For purposes of this illustration, it was requested by me, coincided with my neighbour’s intention of preparing a batch this week and concurred by my wife to be hands on this time. The fermentation period is due today. 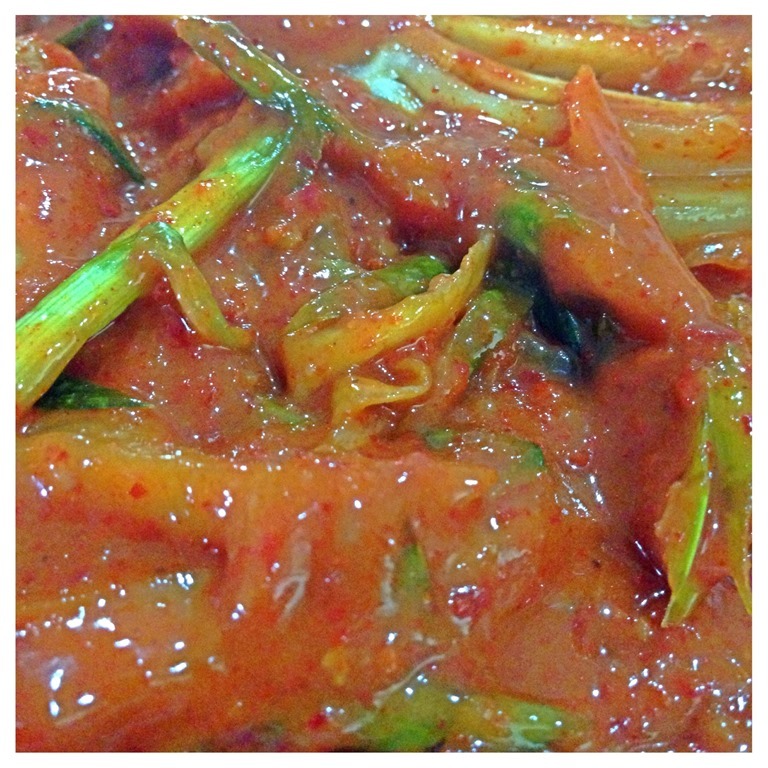 Therefore, I will have to quickly take the pictures, issue this post before the kimchee are given away. For this batch, we have prepared 5 big plants of Napa vegetables. 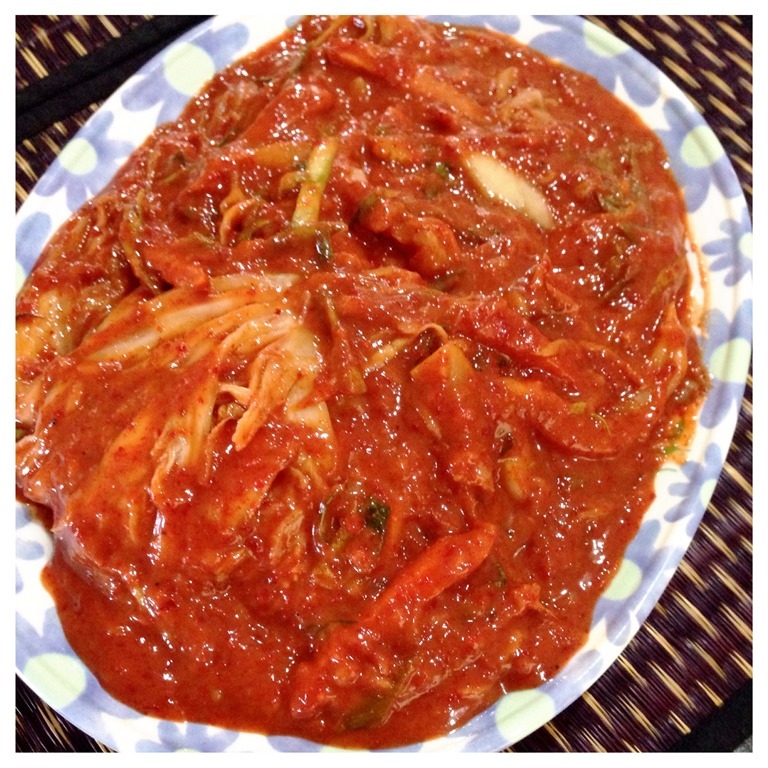 Depending on your preference, if you like more Kimchi sauce, you can have more water to make it less sticky. 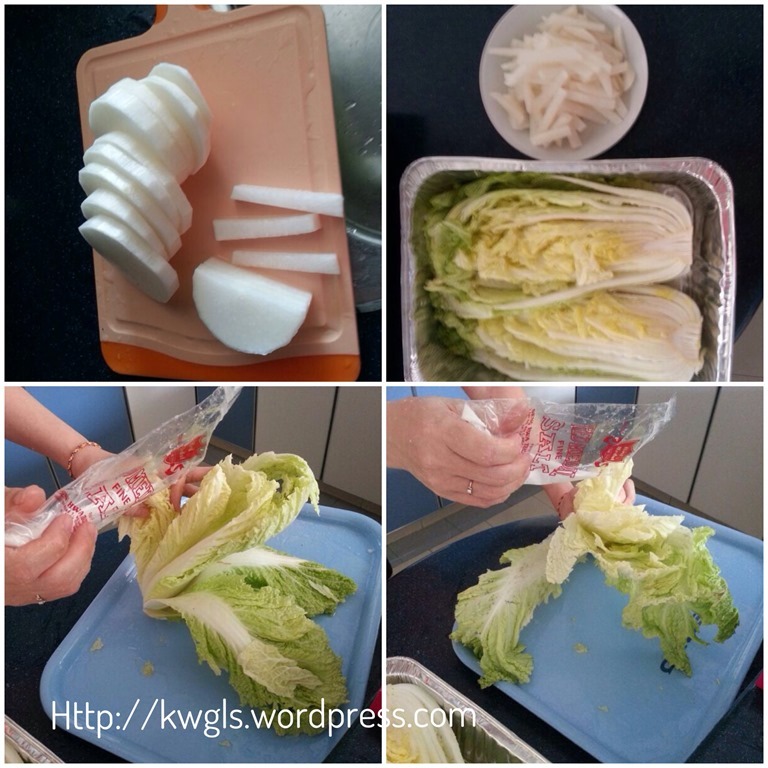 This recipe is rather wet as both my wife and my neighbour loves the Kimchi paste for preparing cuisines such as fried rice, noodles and etc..
Cut the radish into matchstick size and the Napa cabbage into half. Marinate the cabbage and radish with salt for 2 hours. Make sure that every leaf is rubbed with the salt and ensure that the stems get more salt than the leaves. Also ensure that the Napa cabbage centre face upwards during the fermentation. After 2 hours, turn to the Napa cabbage and radishes and let it soaked in the salty vegetable juices secreted from the first 2 hours. Let it marinate for another 2 hours. After 4 hours, rinse the Napa cabbage and radishes in cold water and manually squeeze out as much water as possible. Set aside. 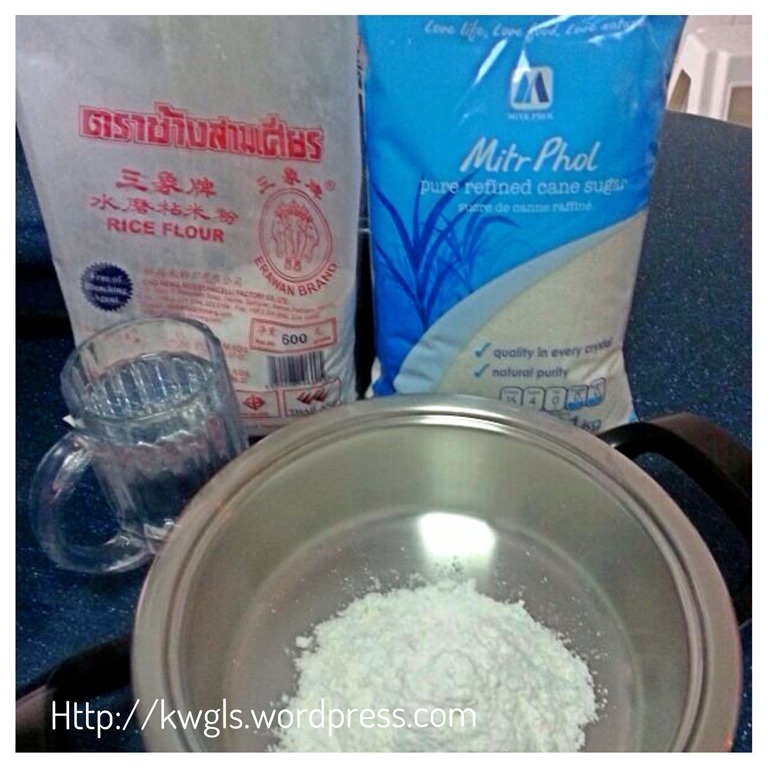 In a sauce pan, make a solution of rice flours by mixing 1/2 cups of flour with 3 cups of water. Note that this is an estimation and you can always add more water if it is too sticky. Cook under medium heat and when it starts to boil (bubbles start to emit), add in sugar and boil for another minute to let it dissolve. Set aside and let it cool. 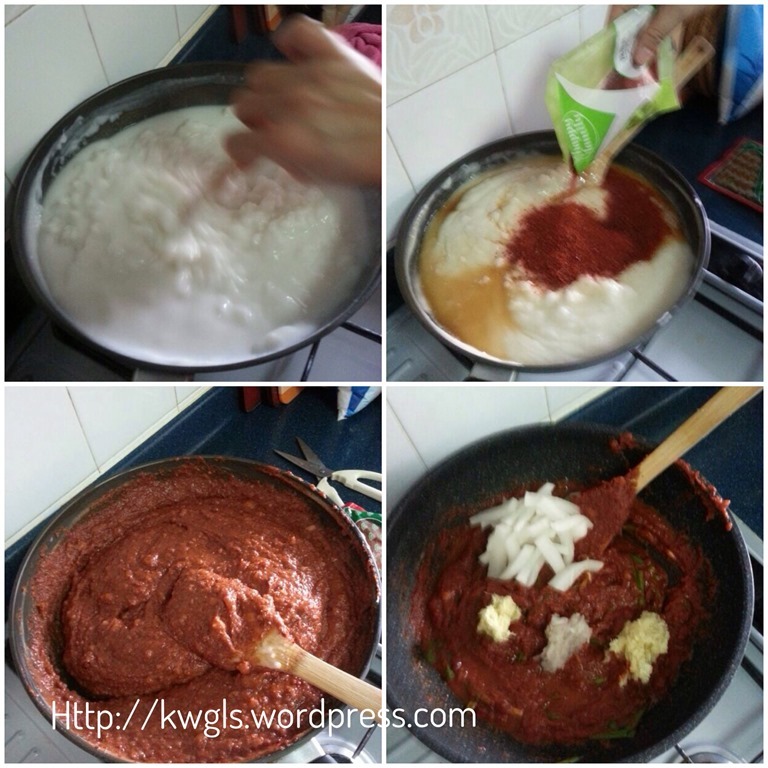 Once cool, add in fish sauce, chilli powder, minced ginger, minced garlic, minced onion and mix well. Add in chopped leek, spring onions, chives, marinated radishes and mix well. 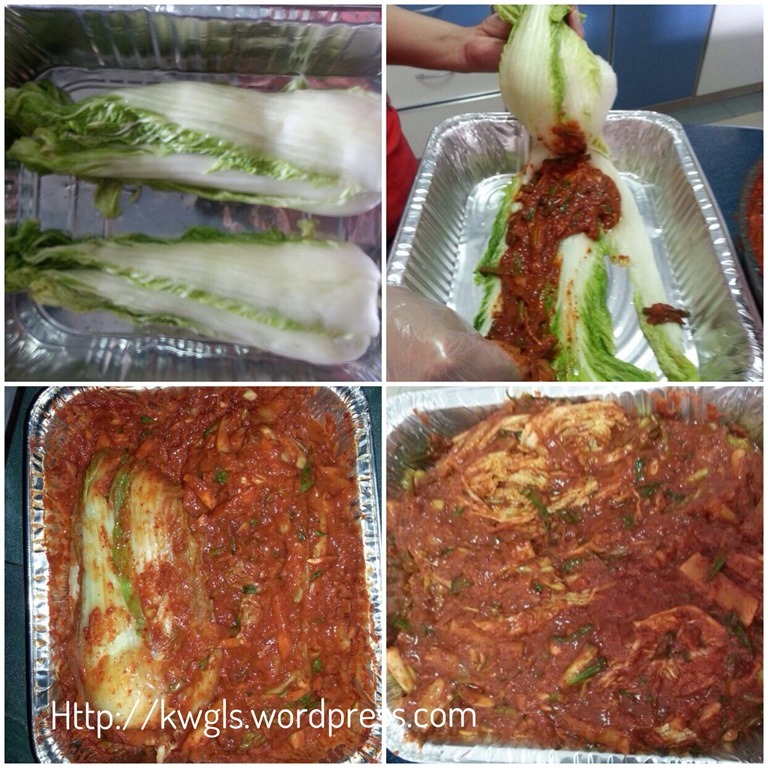 Spread the kimchee paste evenly on each Napa cabbage leaf and ensure the Napa cabbage centre is facing up. 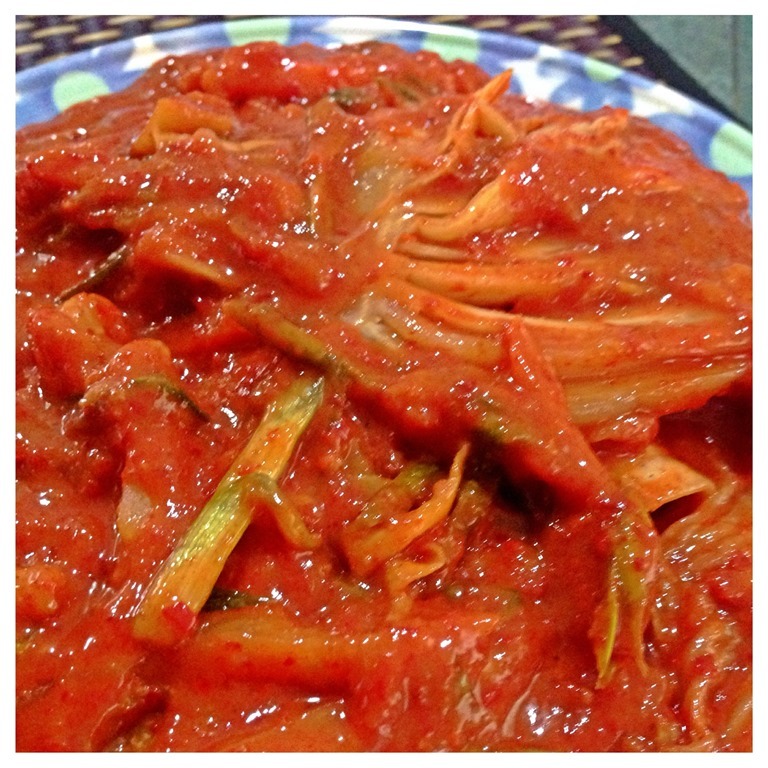 Let it ferments for at least 2 days or when the taste of the Kimchi paste become sour. 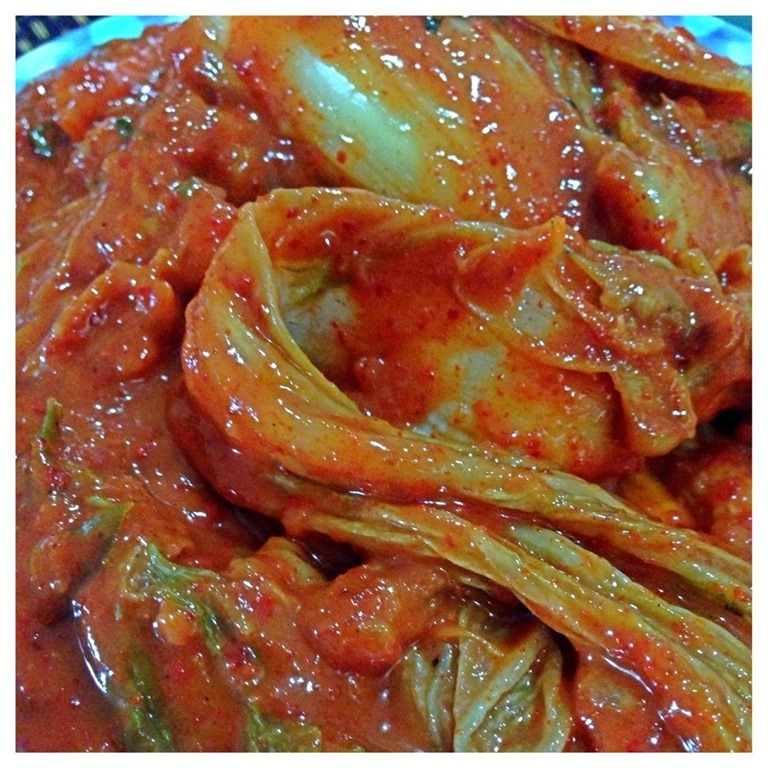 After 12 hours of the first fermentation, turn the Napa cabbage and spread again the Kimchi paste into the leaves again. Do the same for every 12 hours. 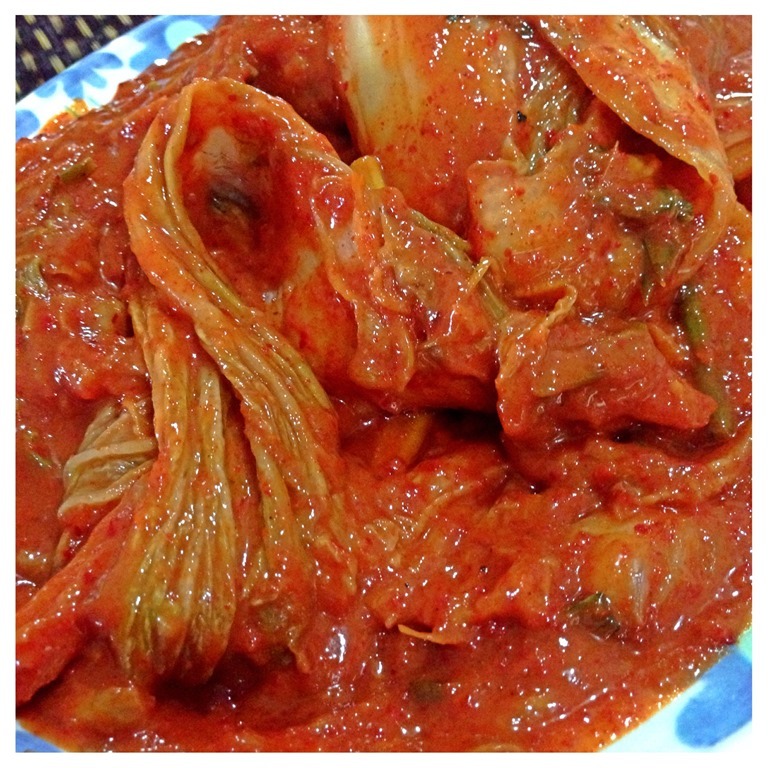 When the Kimchi have lots of bubble and smell sour, it is considered as done. Store in an air tight container and can keep for months (since this is a preserve vegetables). 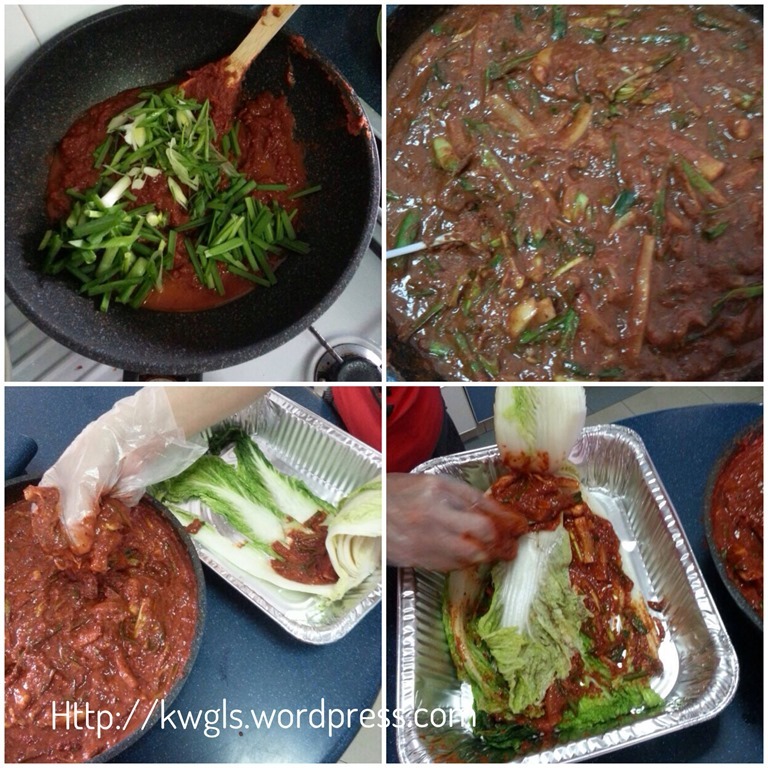 Can serve as a side dish or use for making of Korean cuisines. Among my circle of girl friends and my wife’s friends, most of them like this, possibly because of it is spicy and sour. While I know that this may be a niche cuisine, I am sure some of the readers may be looking for this recipe. 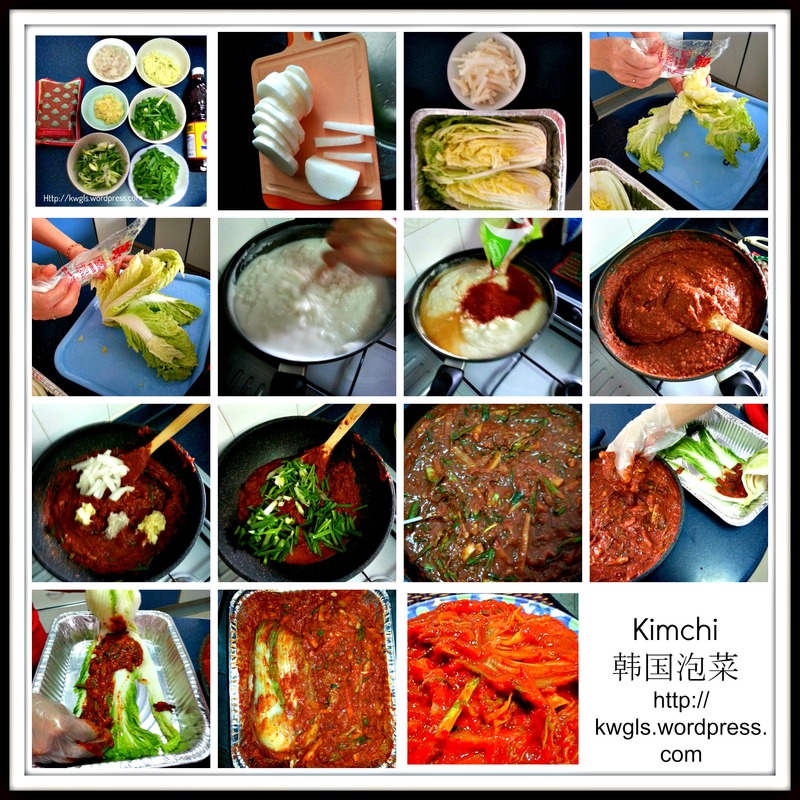 Since my wife has always been complimented for her Kimchi, I thought I might as well share this recipe with my readers. As per my wife and neighbour, they are totally satisfied this batch that they have made. Lastly, preparing Kimchi have lots of variations and error tolerances, start with this batch and for the second batch, you will know how you want to adjust the ingredients to suit your taste buds. 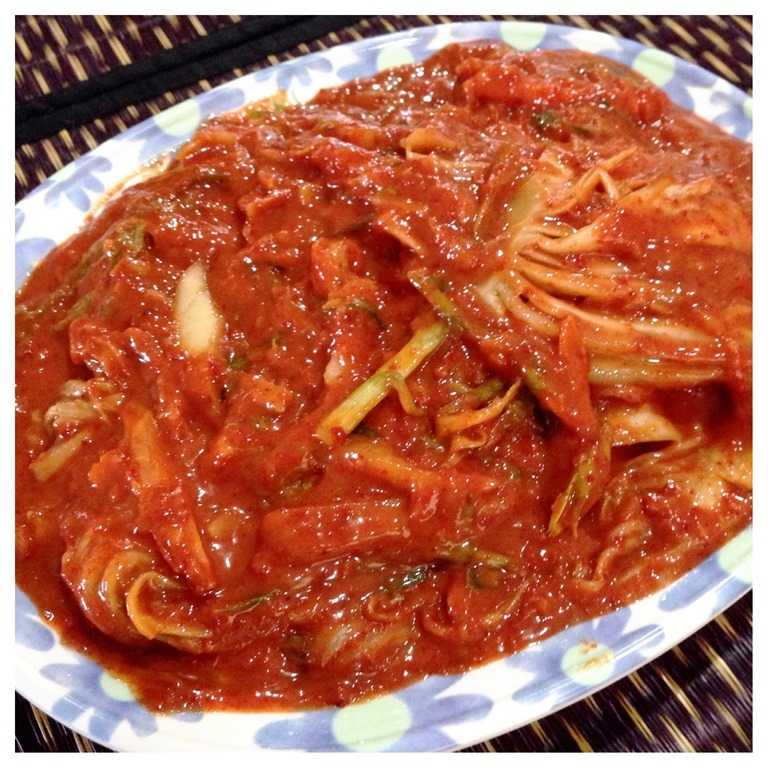 This entry was posted in Dish, Food Preparation Series and tagged 8, Guaishushu, korean kimchi, korean preserved vegetable, napa cabbage, postaday. Bookmark the permalink. Kenneth, I’ve never tried anything like this before but it sounds incredible and your directions are wonderful. It looks beautiful and sounds so flavorful. Thank you so much for sharing your recipe with us! Have a wonderful Wednesday! This looks great! Going to pin it right now! Looks good! I’d like to try – I like spicy and sour. Pinning. Thank you for sharing. My husband just came back from working in South Korea for months. 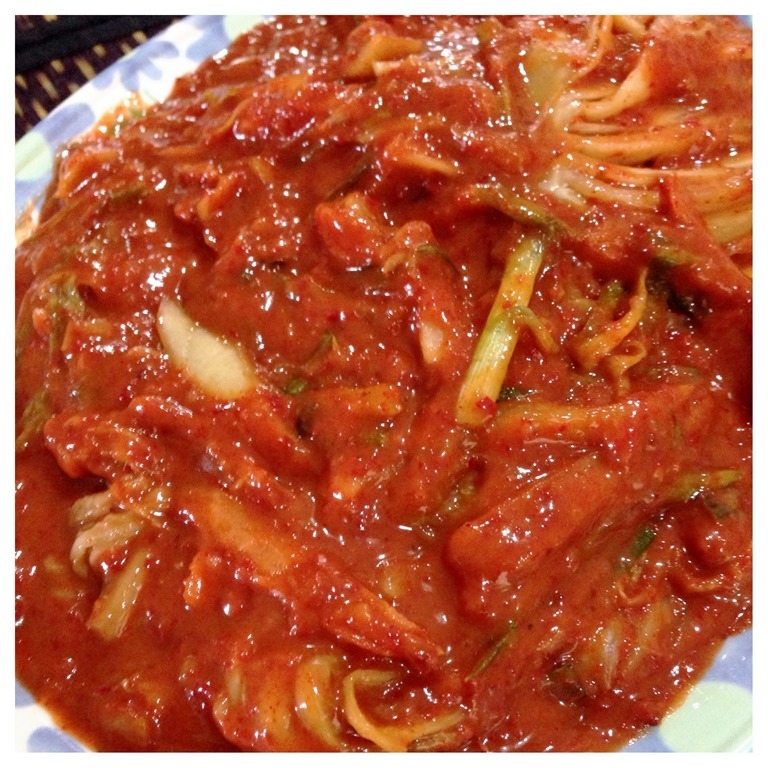 Kimchee was served at every meal. It is an acquired taste, but I will be able to make it for him now. Thank you for posting this with such detailed directions! 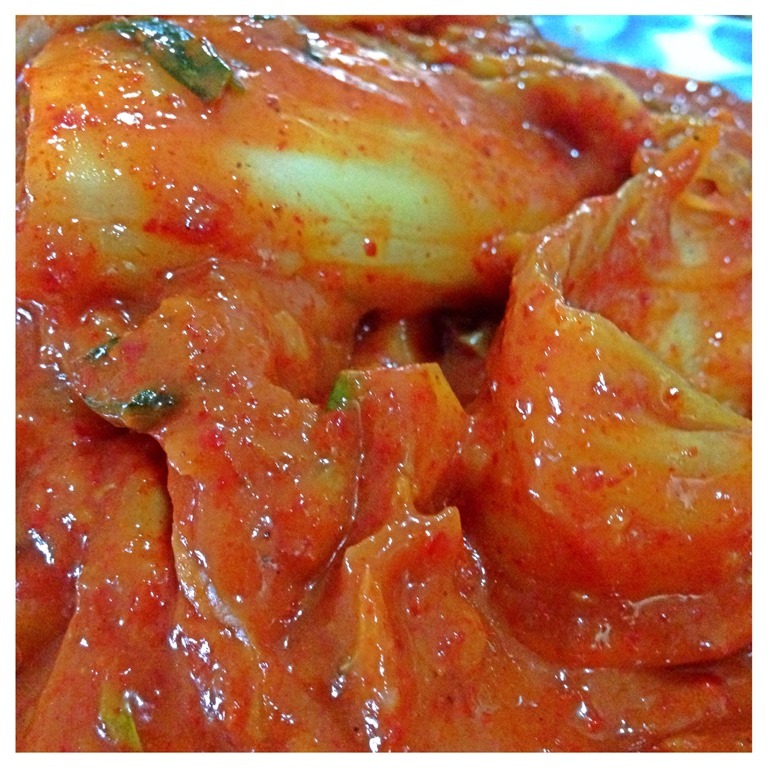 My husband love kimchee, he is going to want us to try this for sure! Thanks for the great directions! Pinning! Hi Kenneth! I’ve heard of Kimchee, but never tried it! Pinning this and I have Buffered this to share on Facebook! Thanks so much for linking up to All My Bloggy Friends this week – I hope you have a great weekend! Looks great. 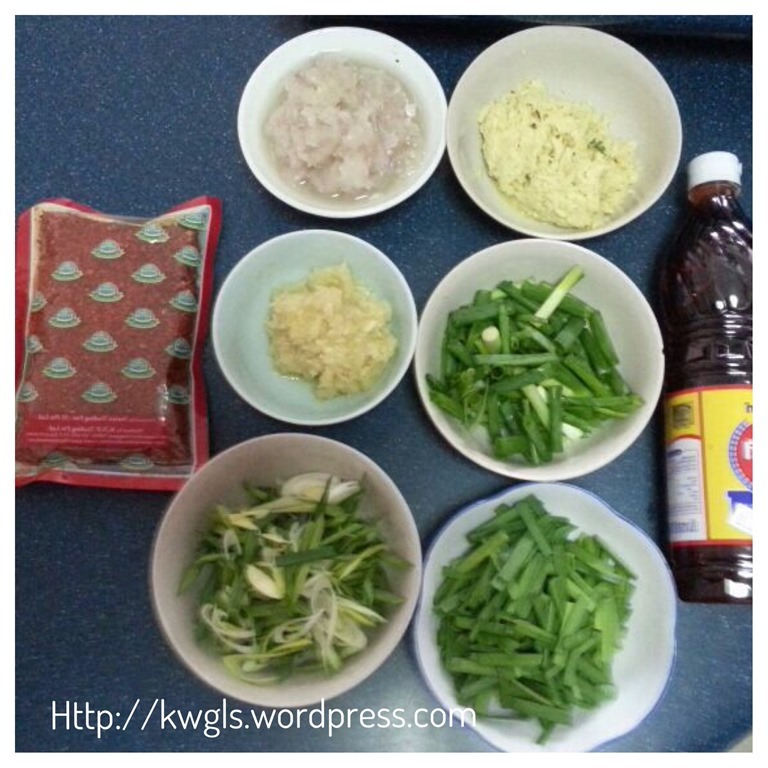 Could I substitute the fish sauce with soy and make it vegetarian? 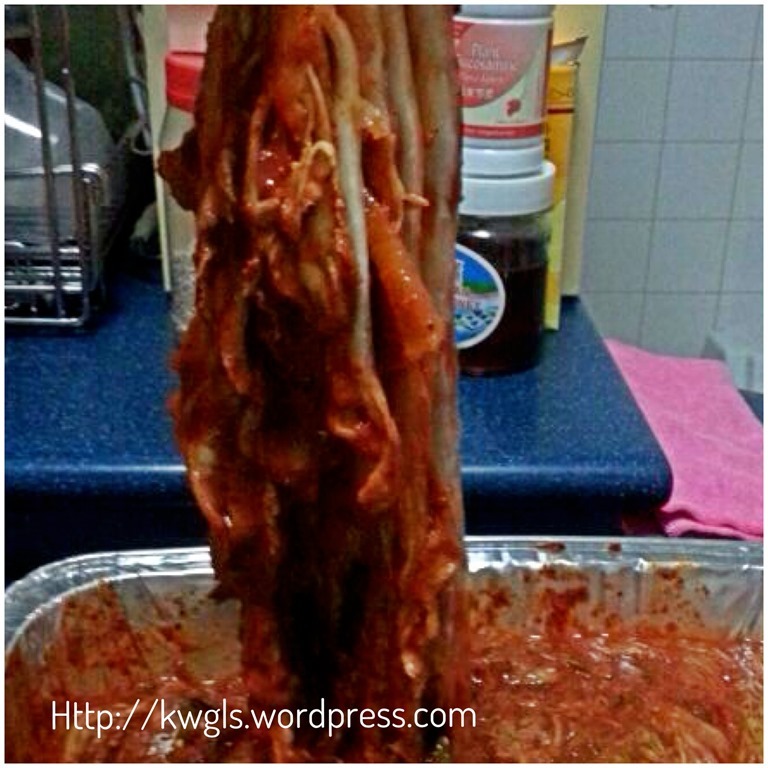 Hi Kenneth, after leaving it to ferment for a day, my kimchi seems to have turned watery. Is it because I did not salt it heavily before? Is this batch ruined? Likely to be ruined. May be temperature too hot or any part of process can result in this. Not enough salt is also possible.